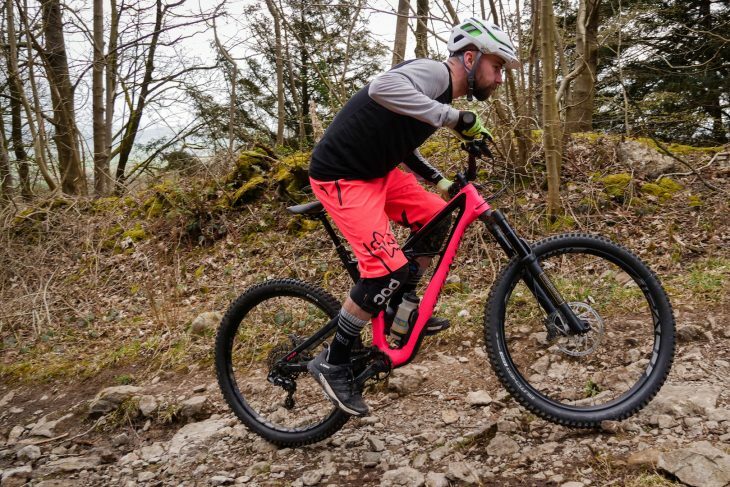 Specialized had already redesigned its popular Enduro platform for 2017, but the big-S (well, one of the Big-S’s anyway) decided it could go one better for 2018. 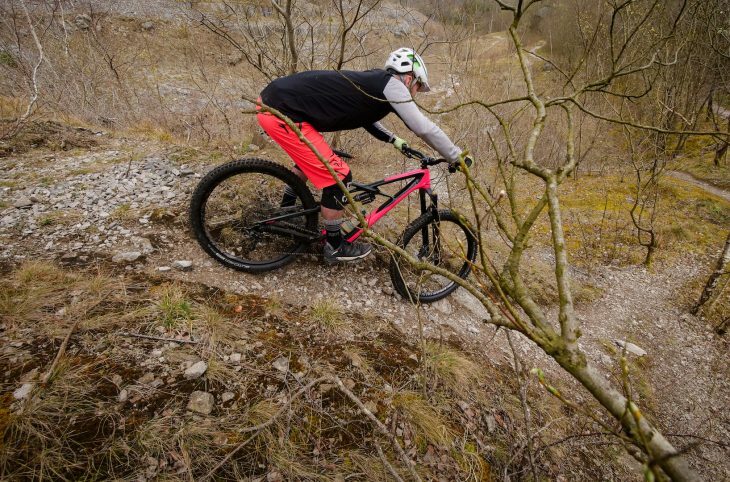 With a new frame and some key spec changes, the latest Enduro is an absolute monster, so we gave it to our Lake District-based tester, Ben Gerrish, to see if he could tame the beast. Over to Ben! With a team consisting of Jared Graves, Kurtis Keene and Miranda Miller, you’d expect Specialized to have a bike to match their calibre. The Specialized Enduro does not disappoint. Coming in a variety of builds and wheel sizes, on paper Specialized has potentially created the ultimate shredder. 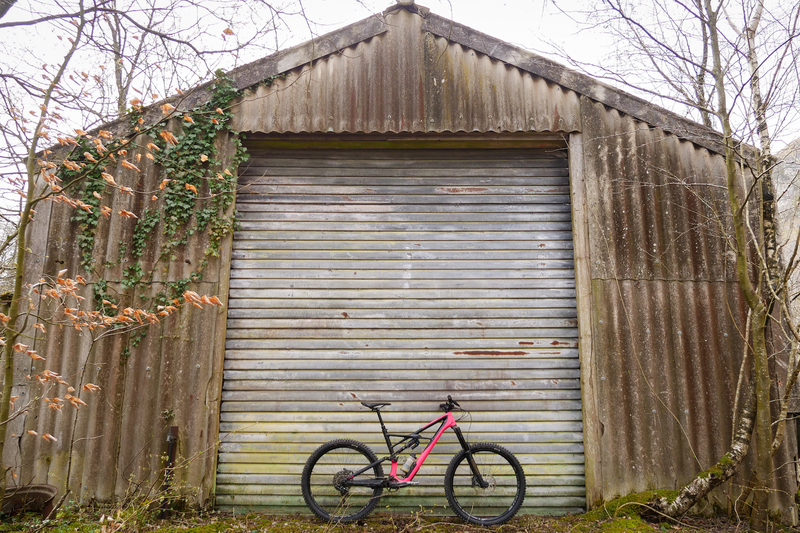 I’ve had the Specialized Enduro Elite, 650b on long term test for the past five months, to find out whether reality lived up to the expectations. I’ve ridden a number of 160mm trail bikes over the years and had the pleasure of trying out some 170mm forks, but this was the first time rocking all 170mm front and rear. Local trails to me are pretty demanding and although any number of bikes can take on the terrain, there is most definitely enough to put this plush beast through it’s paces. Satin Gloss Acid Pink you say? 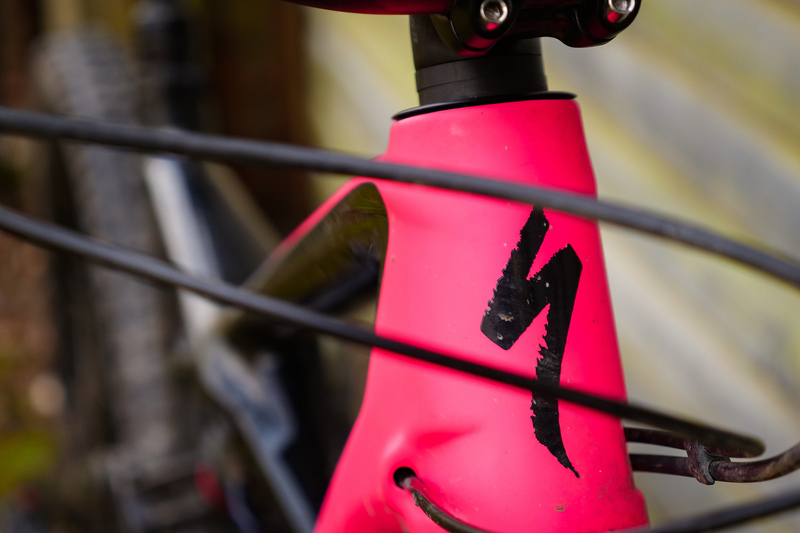 First impressions count, and out of the box the Specialized makes a strong one, the official name for the colour way is ‘Satin Gloss Acid Pink’. A mouthful to say, and an eyeful to behold, it was quite a challenge getting the photos to really do it justice. That combined with the striking lines of the carbon front end, the monster truck tyres and the quickly evident SWAT door geekery and I was buzzing to get it on the trail. The Enduro was already new for 2017, but Specialized decided to give the geometry a facelift for 2018. The new bike is quite a bit longer. The Elite is Specialized’s mid-priced model, and although not the cheapest bike on the market at £4250, in my opinion it comes with a lot of bang for your buck. 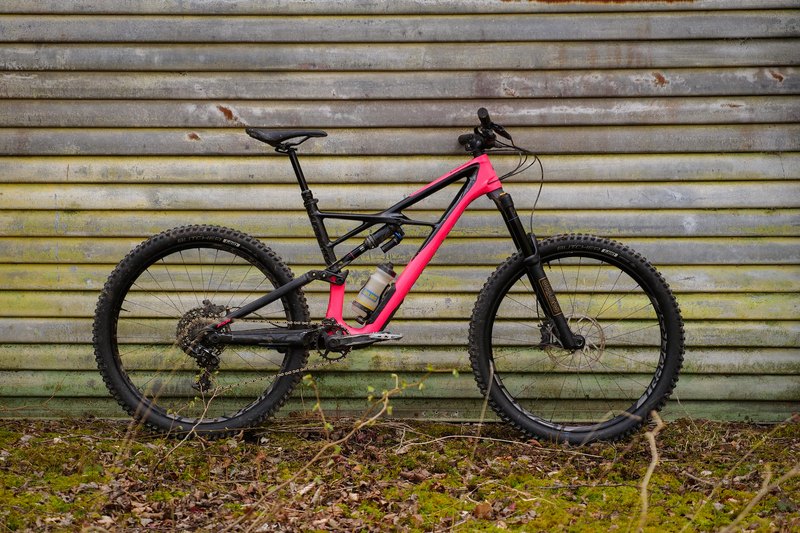 Specialized’s FACT 9M carbon front chassis with Specialized M5 Aluminium rear end combines the best of light, stiff and strong whilst housing all the features you’d expect from a big and burly enduro bike. Plus a couple of extras like fully enclosed internal routing, a tidy bolt-up rear axle, and did I mention it has a door built into the down tube? Code named SWAT, it’s basically the perfect out of the way place to store all your tools, tubes, snacks, or whatever you feel you need. As it spans the entire length of the tube, we reckon a full baguette sandwich could be stowed. You could get some pretty decent-sized salamis up in there. 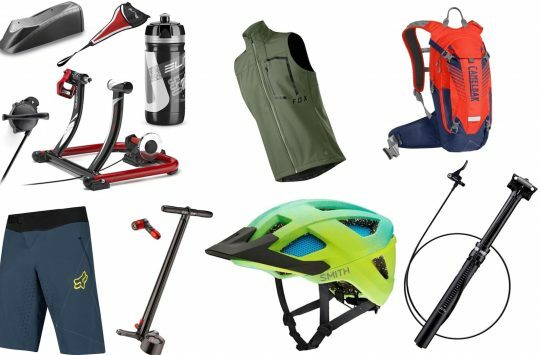 Specialized includes the bottle cage and neat SWAT multi-tool with the bike. 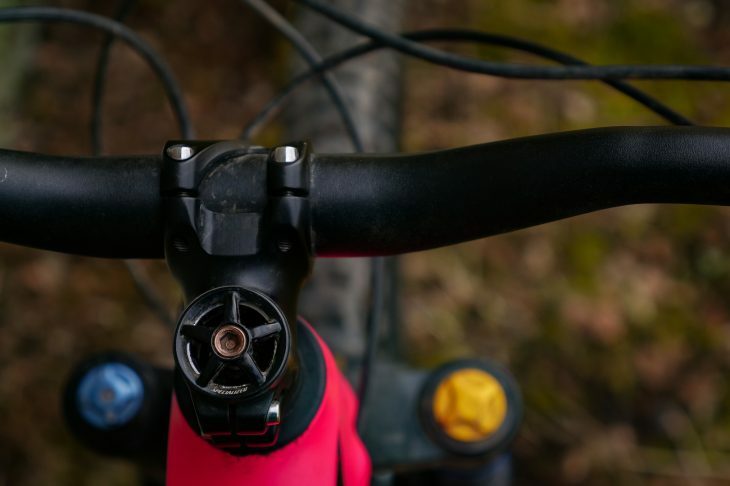 The Elite model Enduro comes equipped with a 125mm travel Command dropper post, which as you may know is Specialized’s own brand post. You may or may not know as well, that it has the ability to do some serious damage if you aren’t aware first of the sheer speed and power the saddle returns at. That said, they’re great reliable posts. Rather than the more common infinite adjust posts, the Command has a 12 position system, but spread in the middle portion of the 125mm stroke, you’re going to have to have a pretty picky bottom to be able to find all 12 positions. The Elite, like all the 2018 models does have a 34.9mm seat tube, designed around the new Command WU dropper, available on the higher spec models. I actually tested a WU dropper on this test bike, and you can check out my review here. 170mm front and rear the Enduro definitely backs up its attacking looks with enough bounce to keep it on track. Up front is an Ohlins RXF 36, air-sprung, Single-Tube fork. 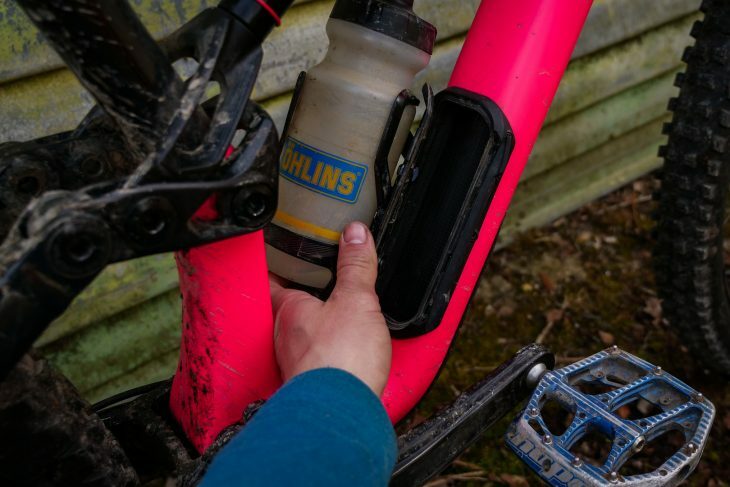 Once set up right the Ohlins RXF remains tall in its travel, whilst still feeling plush and responsive – just what you need on a bike with so much travel that still needs to be pedalled. However, the dumbed-down Single-Tube version does lack some of the finer tuning and control of its higher-end brother. 170mm of smooth-sliding travel courtesy of Ohlins. The RockShox Monarch Plus shock comes with Autosag for easy and accurate set up. 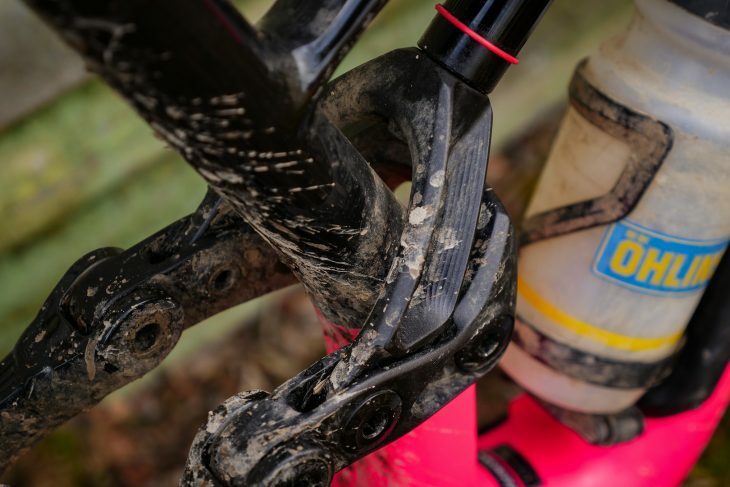 It has a three way switch to adjust the compression damping between a lockout for smooth-surface pedalling, to a medium position for off-road climbing, through to the fully-plush open setting for everything else. But with the efficient Horst Link suspension design on the Enduro, after an initial play, I never used the switch and the shock and bike handled more than adequately. The four-bar suspension design remains, with an alloy shock extender capturing the rear shock eyelet. The build kit too is more than up to scratch. 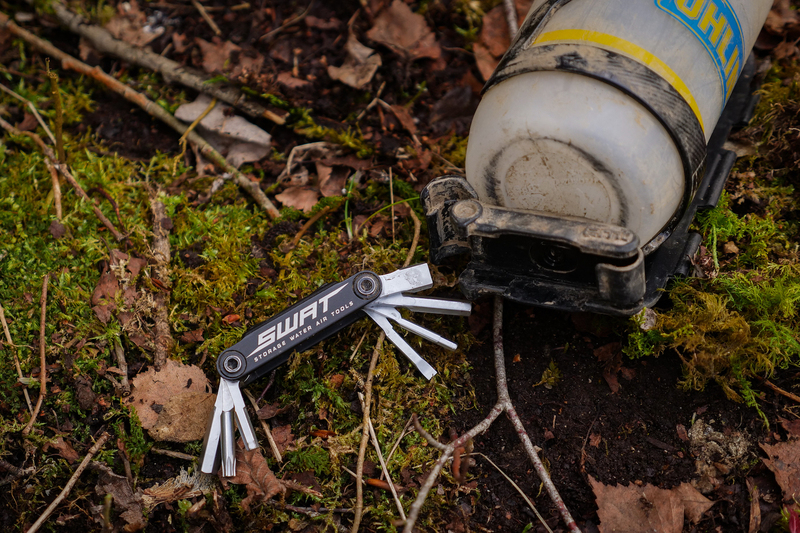 The Enduro Elite comes equipped with the satisfyingly clean-cut shifting of a SRAM GX drivetrain, and a simple top chain guide for extra security over the top of the narrow wide chainring, for when you’re really giving it the gas. A welcome surprise was that the Elite is specced with the same Code R, four-piston brakes as the Pro model above it. These are a welcome addition for a bike that’s designed to be ridden really fast and hard, where efficient stopping power and modulation are key. Another welcome addition to the Enduro is the new cockpit. The 780mm bars and outdated 60mm factory stem have been replaced with a much better suited 45mm long stem and 800mm wide bars. Whilst not every rider may want the full width, you can always take away but you can’t add. I’m an avid fan of the short-stem-wide-bars revolution, so this was a huge positive out of the box. The cockpit receives an update on 2018 Enduro models. Something else bang up to date on the Elite build is the tyre choice. Mounted on the 29mm internal width Roval Traverse rims comes a pair of 2.6in Specialized Butchers featuring a GRID casing, Gripton rubber compound, and 2Bliss Ready bead. In short, their all singing, all dancing answer to your most important contact point – the ground! The GRID casing, although not the toughest casing on the market, is definitely adequate for all but the roughest of trails/riders. The Gripton compound has surprisingly come up through the road tyre ranks of development, and provides a pretty unique combination of efficient grip, rolling resistance and wear rate. The 2Bliss Ready system is, in my experience stress free (a bold statement in tubeless terms) – insert a tubeless rim tape, Roval valves and some sealant of you choice and they seated and inflated off the bat, with a regular pump, no compressor or canisters needed. Stoked! The GRID-reinforced tyres are now 2.6in wide. A substantial change on the 2018 Enduro over the 2017 model is the increased reach. On the large size I’ve been testing, the reach measures up at 466mm – up from 450mm on the 2017 model. While perhaps not as long as some of the super-modern bikes out there, it’s much more up to date. For reference, a large-sized Saracen Ariel LT has a reach of 465mm, the Giant Reign is 473mm, and the Whyte G-170 is 478.8mm. In the real world the Enduro in no way feels cramped, especially with the wide 800mm bars, which provide plenty of room in the cockpit. Combined with the short 433mm back end, it’s a playful and easily manoeuvrable bike on the trail given it has all of that suspension travel. And with the large profile tyres and raked out 65° head angle, it feels entirely planted when you get up to speed. 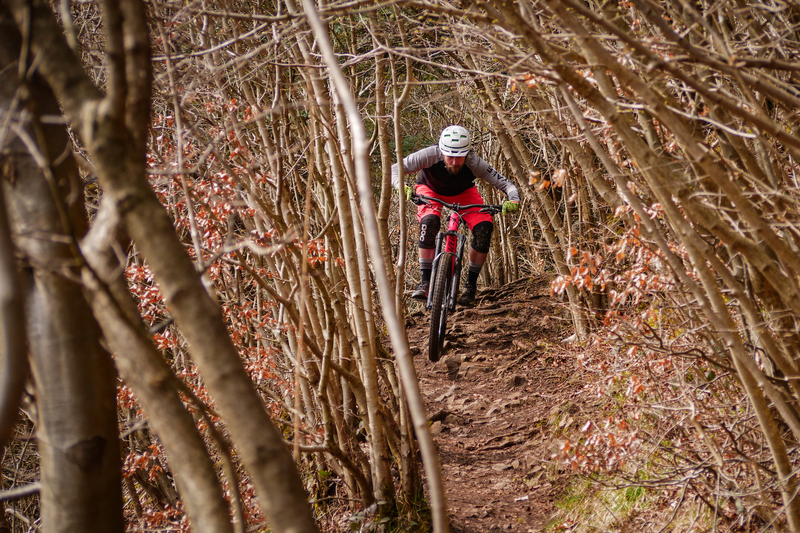 The extra wheelbase length is welcome – the Enduro feels very planted. Turned around, on the way back up the hills, I was pleasantly surprised with what the Enduro took on. A steep seat angle (for this style of bike) sits you up and allows you to really put the power into the pedals. I think this would be even better if it wasn’t for the setback head on the Command dropper post, which, even with the seat slid forward, is definitely robbing you of some vital degrees. 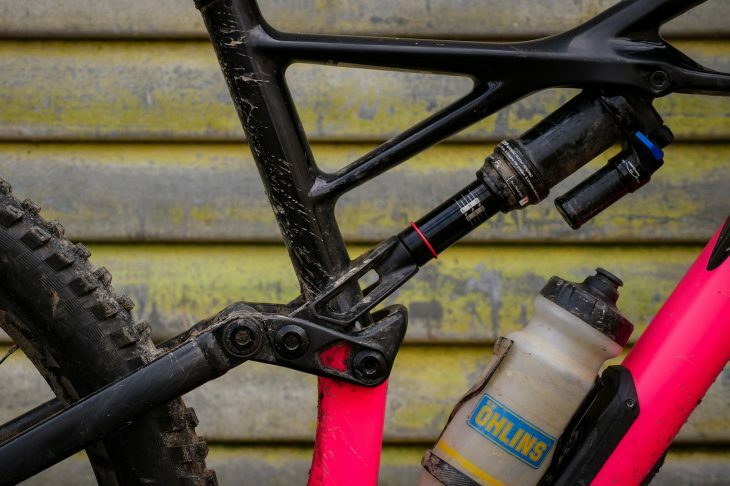 As with all things, there has to be a sacrifice somewhere, and the very grounded nature of the bike comes in part from the low bottom bracket, which does start to cause some issues with rock strikes especially on more technical climbs. But if you can spare a bit of paint from your pedals and maybe invest in some crank boots, it’s a worthwhile sacrifice for velcro-like cornering. The Enduro surprised us with its climbing abilities. The layback seatpost does rob you of some seat angle degrees though. This can be remedied to a degree by using the new Flip Chip system, where a square washer inside the yolk can be switched out to give another half a degree in the head angle, bringing it to 65.5° and lifting the BB by 8mm. This gives you a potentially better pedalling option, at the expense of out-and-out descending. I found the bike surprisingly nimble and proficient on the climbs even in the low setting, and so took the hit for the full downhill experience. Flipping the chip is a bit of a rigmarole despite the simple name, and Specialized rightly suggest you do not attempt it “on the trail”, so you do need to decide what you need prior to the ride. You can adjust geometry via the Flip Chip system inside the shock extender. It isn’t exactly a quick trail-side adjustment though. As I mentioned, I am privileged enough to have a huge selection of riding on my doorstep, allowing me to give the bike a comprehensive run down over the months. The obvious shakedown was the local enduro tracks, which feature a good mix of polished roots, muddy ruts, loose loam on some of the newer lines and being the Lakes, a fair share of rocks too. This bike is planted. The ample 170mm of travel on both ends made light work of the rough sections, and even with the unplanned extra speed this gave me into the less grippy sections, the large profile tyres held me true. 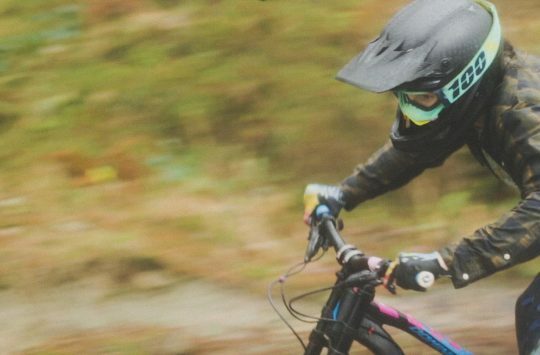 The more I rode the bike the easier it felt to just let it run, and it seems to have a good balance between planted straight-line attack and playfulness, like you’re slinging about a jump bike. 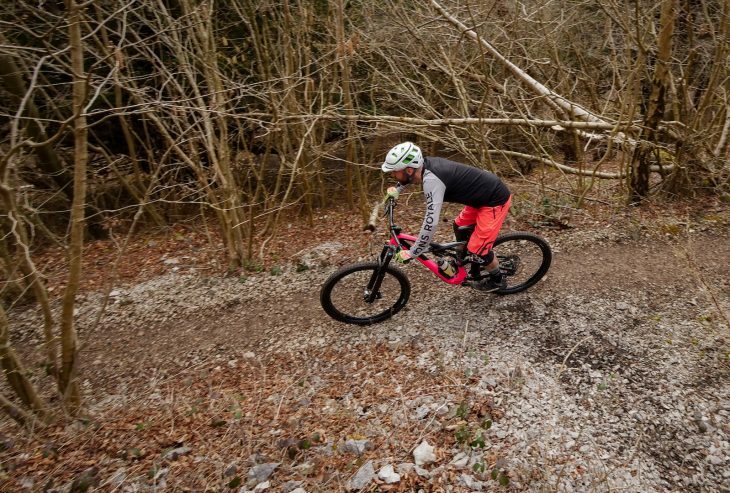 With 170mm of travel at either end, it takes a lot to shake the Enduro. 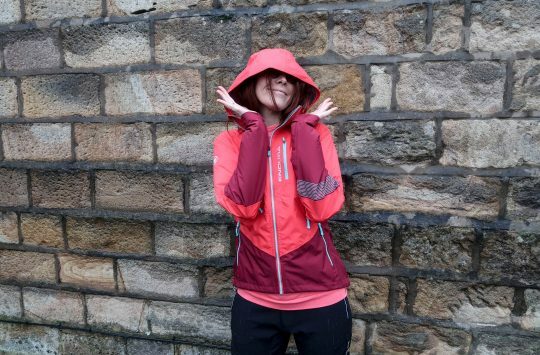 There were many repeated runs on the local trails to fine tune the set up, but I also took it up a few mountains for good measure. SWAT hatch packed with the necessities and not a bag in site (though maybe a couple of extra flapjacks in my pocket), I set off on the long trip up Helvellyn. After 200m of easy single track pedalling the bike goes on the shoulders for the long haul up, where the smooth lines of the carbon frame makes for a comfortable carry. 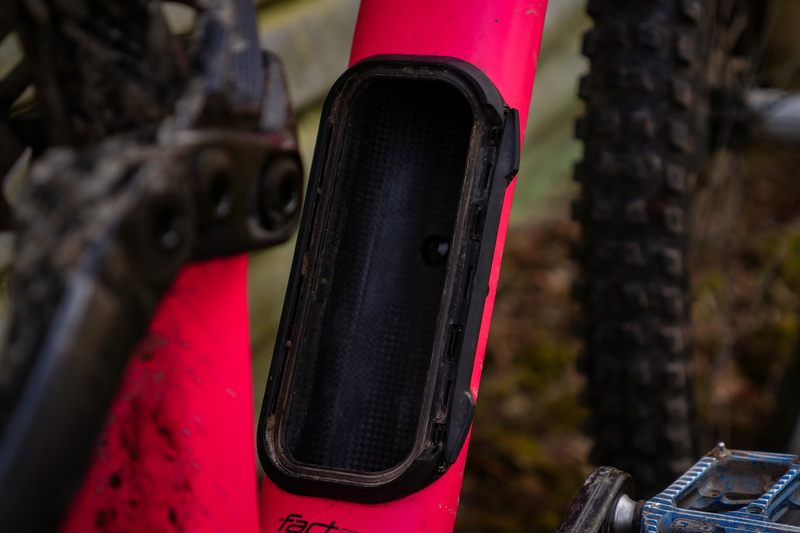 And although the extra weight of a full bottle, spare tubes, tools and flapjacks was noted on top of the stock 14.7kg build, the location of the weight kept it balanced and easy to handle. This is the same once you turn the bike around. All the weight feels central and low, and as far as I was aware, never had any detriment to handling or feel of the bike. Weight distribution on the Enduro is superb. The last technical pedal to the top of the mountain once again highlighted the excruciatingly low bottom bracket, as I took only memories and left only a small bit of paint from my pedals. The excitement to turn it around at the top was high. With fast-paced, rocky and loose terrain laid before me, again the Enduro took it in its stride, all 170mm of plush and supportive suspension meant even over the 10 minute pitched section I still had enough left in me to hop the bigger drainage ditches at the bottom. For these kinds of big, technical days out in the saddle, that travel makes a big difference to overall fatigue, and I was glad to have it. 125mm may be the professional’s drop of choice, but I feel it would be much better suited to a full 150mm drop (or more). The lack of fine tuning on the single tube Ohlins fork. Everyone’s rear is different, but the Specialized saddle is a tough cookie with some hard edges. The cockpit is spot-on for the Enduro’s intentions. That “Satin Gloss Acid Pink” – BOLD! All in all, the Enduro is a lot of bike. 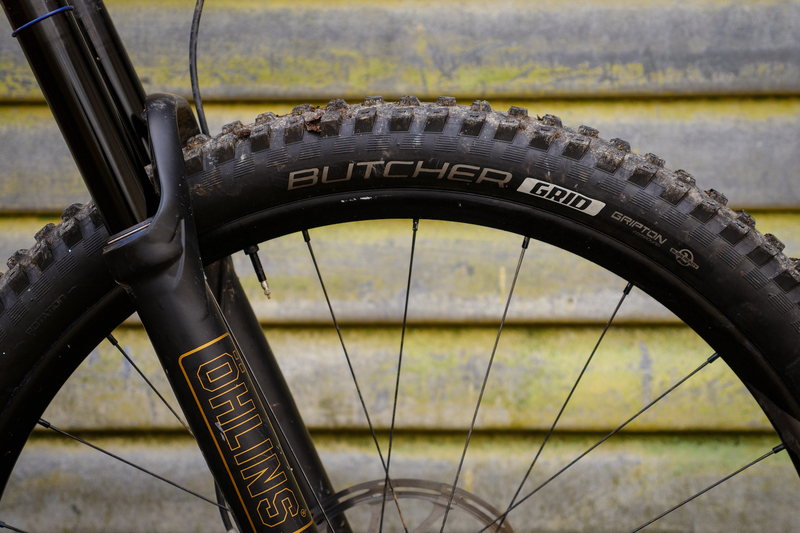 Whilst I would happily use it as an everyday solution round my usual trails I do think the massive 170mm of travel and chunky tyres could possibly be a little overkill for some people. And whilst I did state that it climbs well, there’s the “for a 170mm trail bike” side note. If you need/want/enjoy the mini downhill bike vibe in your usual riding though, the downsides are more than tolerable. 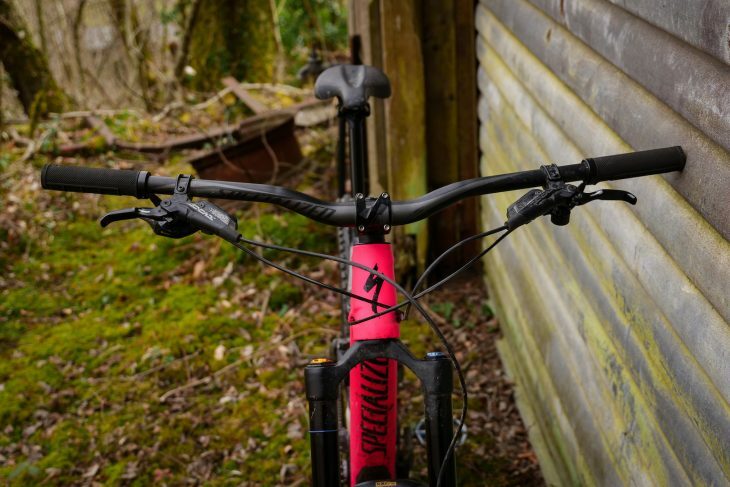 The full width bars and shorter stem were a great addition for me, although I would have liked to have seen a 150mm dropper on such a downhill orientated bike, especially considering I was on the Large. 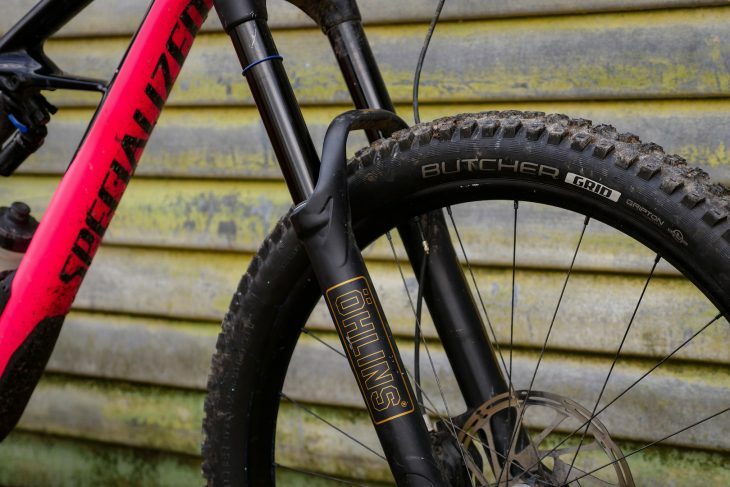 Given that Specialized has introduced a new 160mm dropper post on the latest Stumpjumper, I’d expect the Enduro to follow suit for the 2019 model year. That aside, there are no doubts that once you get this bike to the top of the hill, you will be grinning ear to ear all the way back to the bottom. It’s not exactly a subtle paint job is it?